We offer Colorado Springs field services, including digital photos, field inspections, audio and video recordings, election supervision, and taking meeting minutes. We are a member of SOFI, Society of Field Inspectors. We can take digital photos or videos to record personal statements, interviews, wills, business meetings, presentations, HOA meetings, committee meetings, etc., with a Canon telephoto optical zoom digital camera. 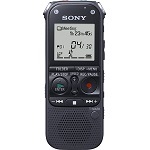 We can make audio recordings using a Sony ICD-AX412 stereo Digital Voice Recorder and create audio files in .mp3 format and other audio formats. We can take meeting minutes and record election results as a recording secretary, take affidavits and depositions, and transcribe recorded voice to text using Express Scribe. As a mobile notary, we can administer an oath of office for elected officers and board members, notarize business meeting minutes, contracts, lien waivers and business records. 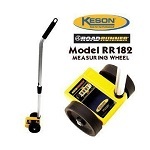 We can do a no-contact field inspection, take measurements with a tape measure or Keson RoadRunner measuring wheel, complete an inspection report, take digital photos if needed, and email the inspection report and digital photos to you. This is useful for real estate investors, tax lien investors, landlords, move-in/move-out inspections, land owners, research, due diligence, investigations, project progress reports, property condition checks, neighborhood condition checks, etc. Contact us for your Colorado Springs field services or mobile notary needs. Disclaimer: Inspection does not certify compliance with federal, state or local laws, ordinances, permits, covenants, lease terms, zoning, fire, health, environmental, safety, or building codes, workmanship standards, or include hidden defects or hazards.